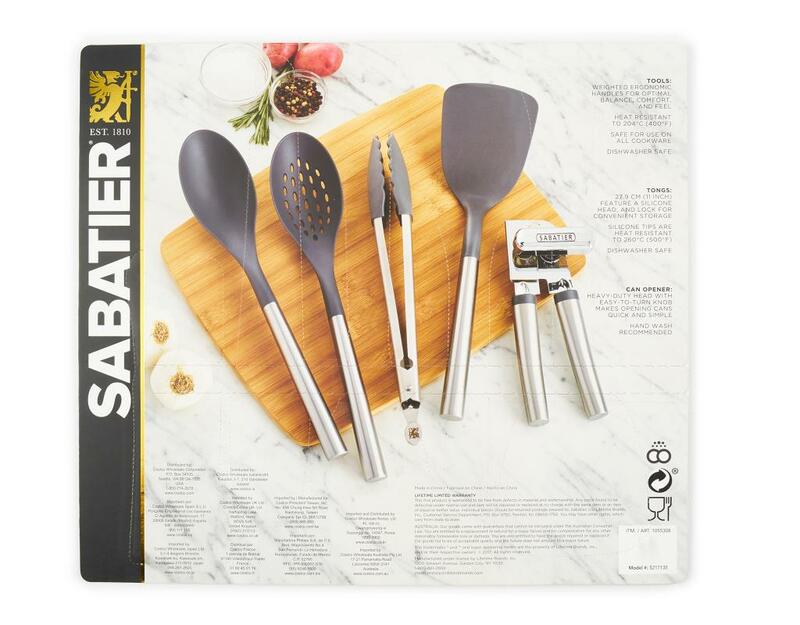 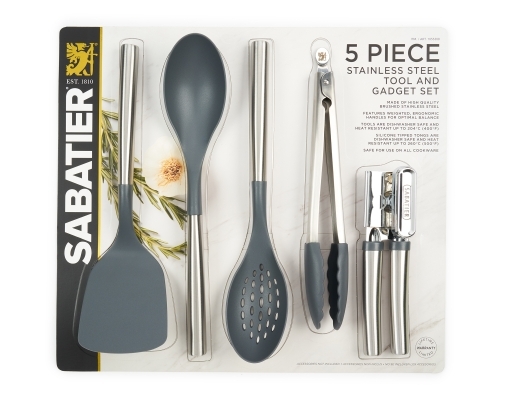 Sabatier’s Stainless Steel Tool and Gadget Set is made of high quality brushed stainless steel and features weighted, ergonomic handles for optimal balance. 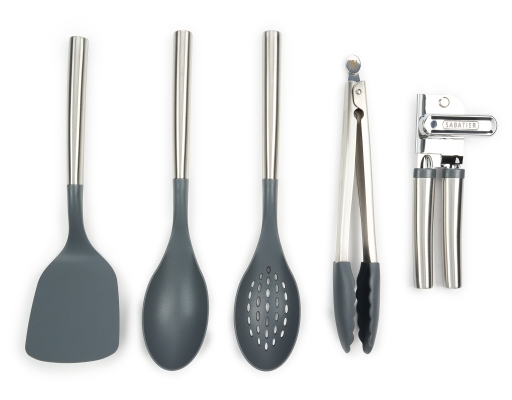 Each tool is dishwasher safe and heat resistant. 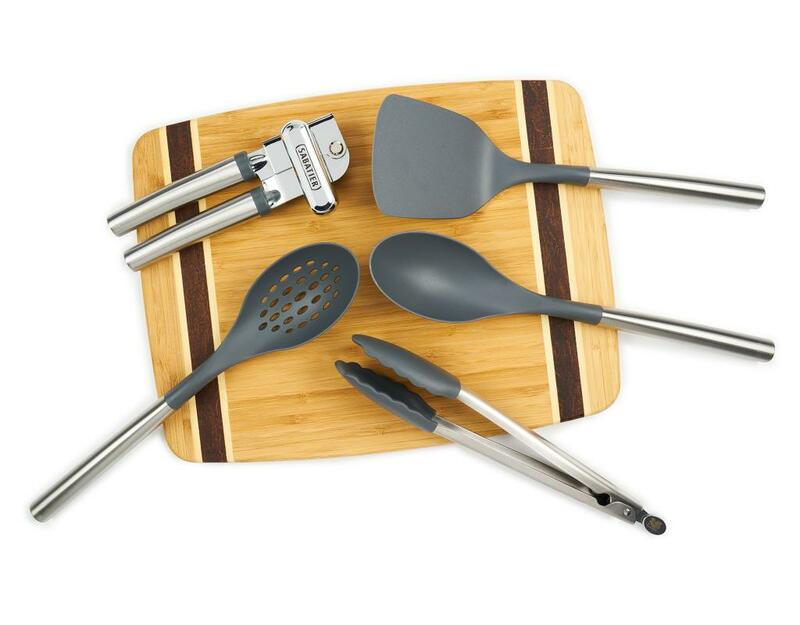 Safe for use on all cookware.